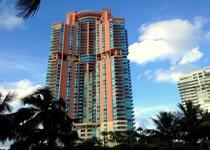 Built in 1997 by renowned developer Jorge Perez, the Portofino Tower pioneered luxurious living in South Beach. Its contemporary residences were among the first to feature expansive floor plans, floor-to-ceiling glass windows, and stunning views of the city and water, all of which remain signature characteristics of its residences to this day. 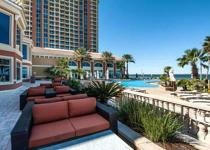 Units range from 1,090 to 4,510 square feet and from 1 to 4 bedrooms, including magnificent penthouse suites. Unit amenities include stunning custom kitchens with world-class appliances from brands such as Subzero and Miele, deluxe powder rooms, and elegant baths with luxury fixtures and marble vanities. 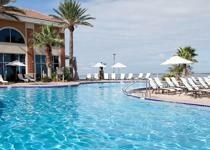 In line with its pioneering introduction of unparalleled luxury, the Portofino has an ample array of amenities. 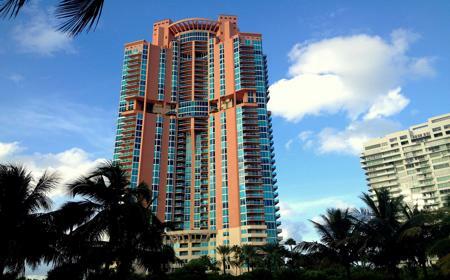 The Portofino Tower was the first of the contemporary luxury condo buildings brought to life in Miami Beach in the mid-1990s. This is one of the largest and tallest condo towers in all of Miami Beach and has become a landmark in the South of Fifth neighborhood. Upon entering, the Portofino Tower residents are surrounded by contemporary Italian-inspired architecture, a stunning landscaping with waterfall fountains and a grand entry circular driveway that connects The Portofino and South Pointe Condo Master Association. 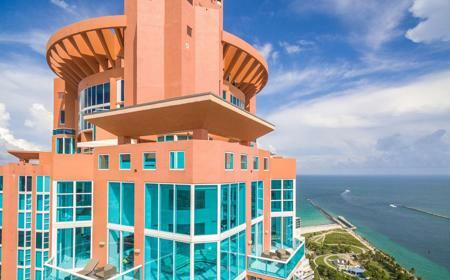 Overlooking the Miami skyline with 44 imposing floors, The Portofino Tower is one of the most desired Miami Beach luxury condominium buildings, due to its unique architectural style and premier location just north of South Pointe Park. The condo features a stunning four-story lobby, with a 24-hour guard-gated entryway, white glove concierge service, fitness facilities with incredible views of Miami Beach and the ocean and impeccable interior design by the internationally-renowned firm that styled New York's Four Seasons Hotel. Residents at Miami Beach's Portofino Tower can take advantage of the state-of-the-art, refurbished and fully equipped fitness and spa center, both uniquely located on the 29th floor. Along with incredible panoramic views, the 29th floor also has a recreation deck, a recently remodeled billiards room with flat screen TV and available space for holding private functions, as well as a card room. The condo also features a dog park, two lighted tennis courts, and two beautiful swimming pools (a benefit and perk of being part of The Portofino Tower & South Pointe Master Association). In this building, more than two hundred incredible flow-through condominiums, offer superb panoramic views from secluded terraces, residences also feature solid core double entry doors, nine-foot floor-to-ceiling hurricane resistant windows and sliding glass doors. Most residences are true flow-through condominiums with over 2,000 Interior Sq. ft. of living space, as well as two balconies.